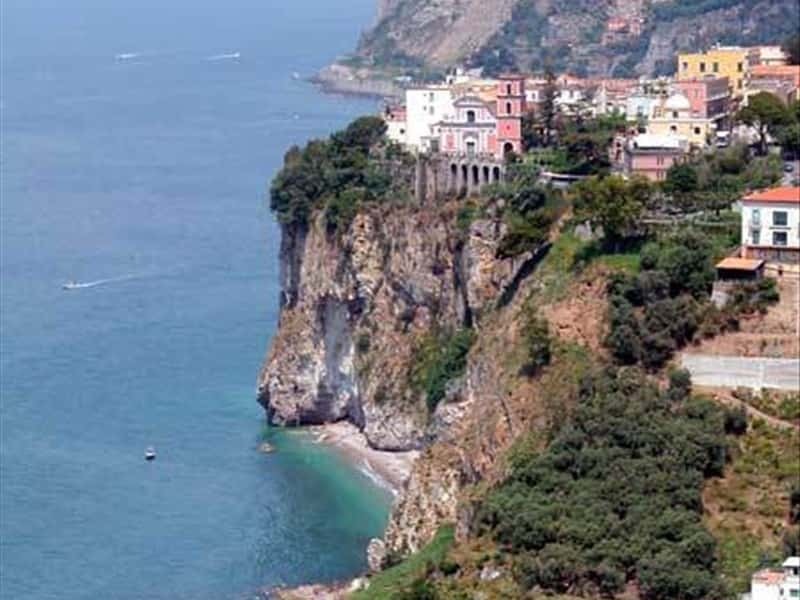 A beautiful town, situated not far from Sorrento, on a promontory overlooking the sea and dominated by the mass of Mount Faito (1400 meters), Vico Equense is famous for its sulphurous springs with well known therapeutic properties, and for being the home of "the pizza sold by the meter". The town's name has clearly Roman origins and it derives from "vicus" (small village) to which was added "aequensis", which means "of the knights." Although one of the favorite destinations of the Roman patricians, that built here their Summer "villas", ancient findings evidence that the area was already inhabited by the Italic peoples, at first, Greek and Etruscan, later. After the fall of the Roman Empire, the town experienced the destructive fury of the barbarian invasions at command of the Goths King Teia. In the XIII century, Vico gained its independence from Sorrento and from its dukedom, and during the wars of succession between France and Spain, the community swore allegiance to the French. - the Convent of St. Francis (XVII century), from where it is possible to admire the entire Gulf of Naples. Interesting is the ceramic pavement of the Refectory and the XVII century fresco depicting "la Cena" (the supper). - the Mineralogical Museum Campano, where a rich collection of minerals and fossils are on display. This town web page has been visited 115,175 times.